The first thing I did today was a shopping trip for the Holy Grounds Food Pantry. 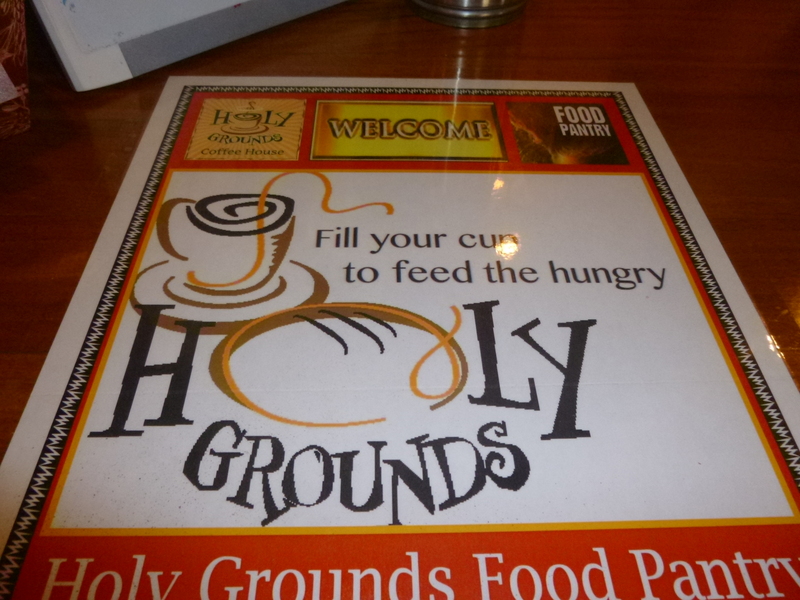 This food pantry is supported by the proceeds of the Holy Grounds Coffee Shop, and I liked the idea of a food pantry being associated with a coffee shop – that’s something I haven’t run into before! Their motto is “Fill your cup to feed the hungry.” The coffee shop is a spacious, comfortable place and I’m sure people spend many a cozy hour there. 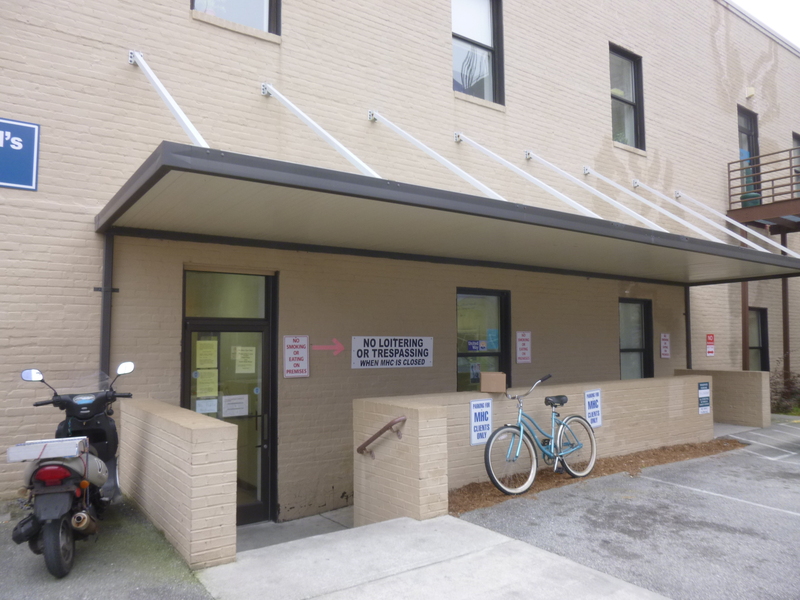 The food pantry is located in a big room right off the coffee shop, and is open a couple Saturdays each month. It’s a nice arrangement, and they sent me on my way with a complimentary cup of tea on this chilly morning. 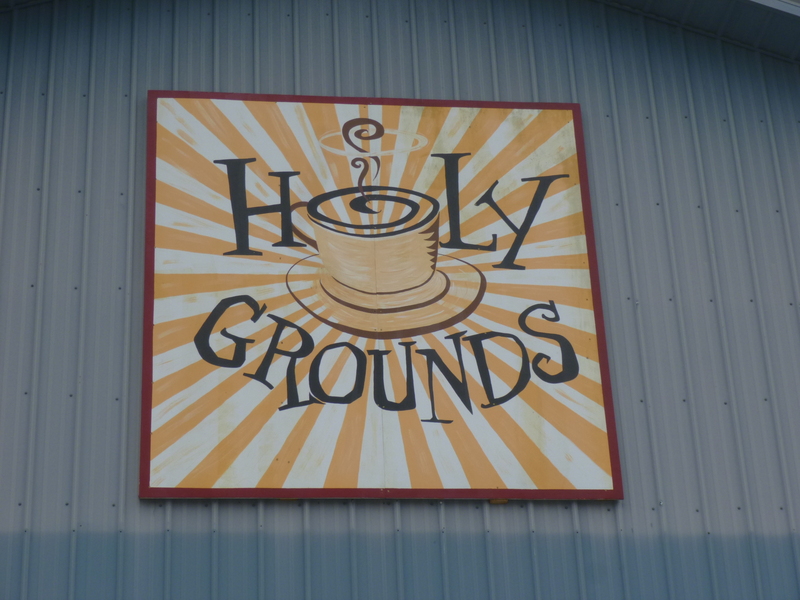 The Holy Grounds Coffee Shop was on the outskirts of Wilmington, and in finding them, I drove past a bike path and a couple parks. 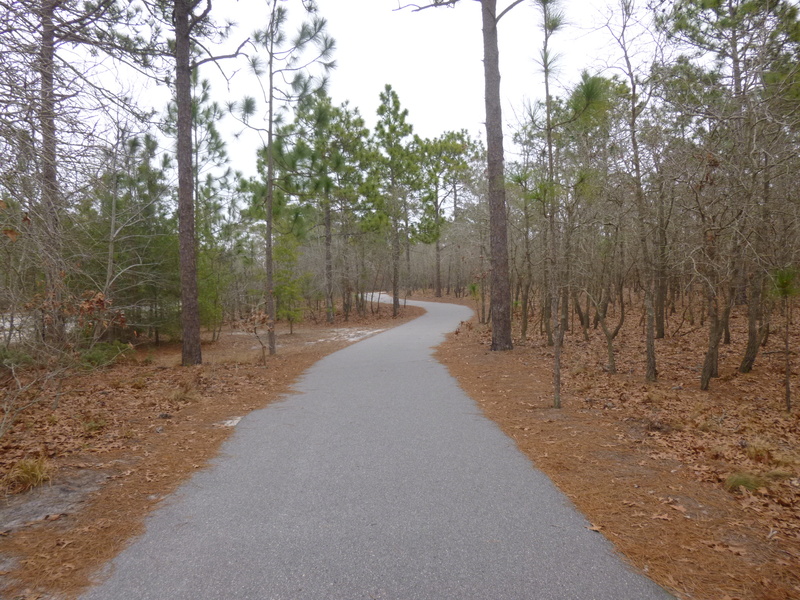 So Tula and I got out and walked nearly 4 miles on the park paths and out on the bike path. 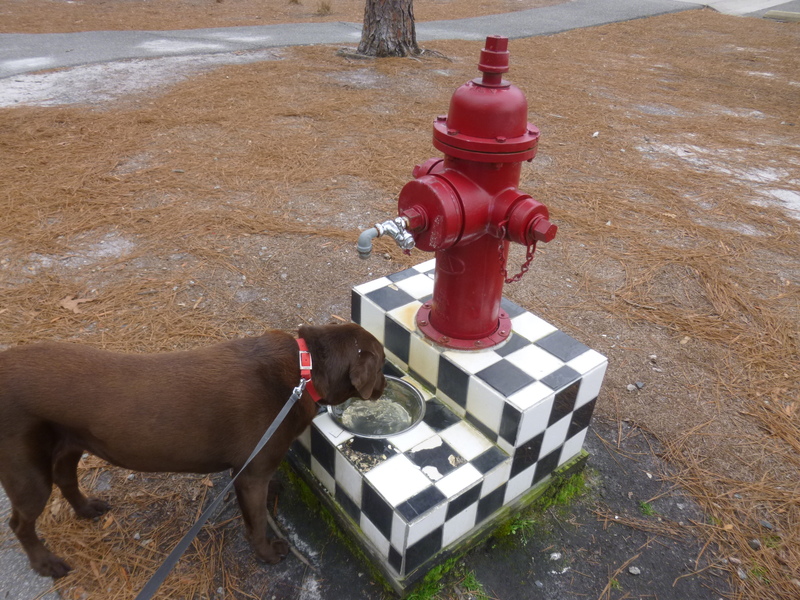 There were quite a few people out walking and it’s a very dog-friendly place – the park even had a water stop for dogs in the form of a fire hydrant and fancy black and white checked water dish. Tula took advantage of it! 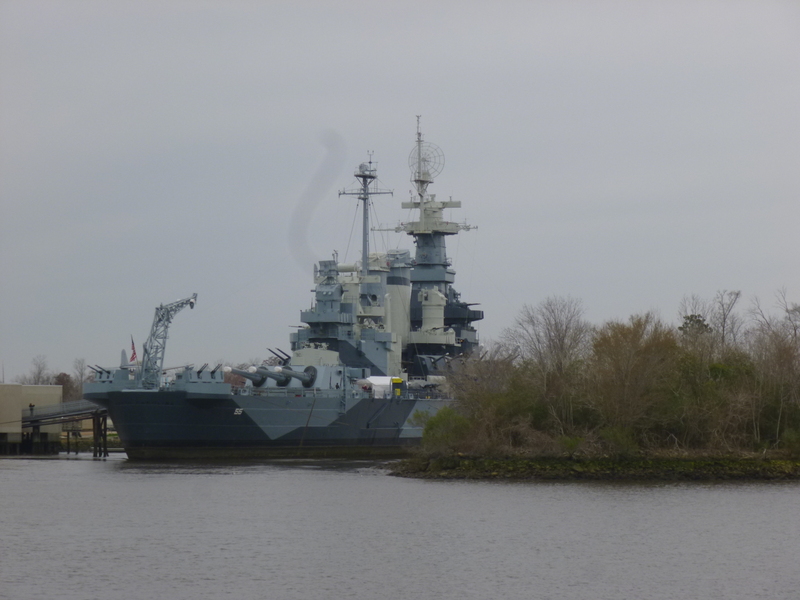 From there I did another grocery shopping trip, and headed to downtown Wilmington and Mother Hubbard’s Cupboard, a food pantry that’s open 5 days a week, and Monday was one of their open days. Families are allowed to visit the food pantry once a month, and they get a 3-5 day supply of food. For those people without a stove, they can come in once a week for groceries. And, they also have a section of shelving reserved for food for people with diabetes. This is the first time I’ve seen that (which doesn’t mean other food pantries don’t take that into account – it’s just the first time I’ve seen it!). It’s just one more thing to take into consideration when planning what food to give people. Jane was a wonderful lady who showed me all around, and it’s a big, well-organized facility with a large group of volunteers who rotate in and out – they were eagerly awaiting the arrival of some freezers in the next day or so. 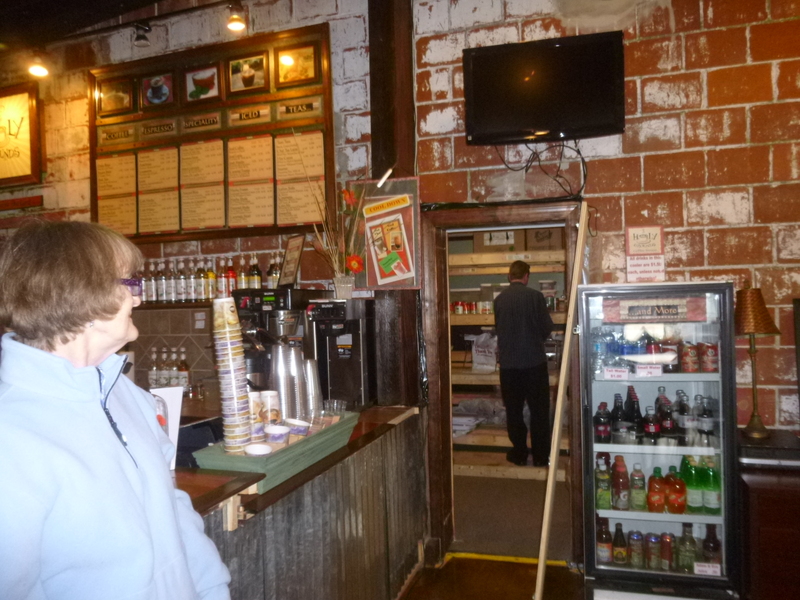 The initial rush was over by the time I got there, but people were still arriving for food. Later Jane emailed me some information about the numbers of people they help, and it’s mind-boggling. There was a graph showing how the need has gone up in the past 3 years – in 2012 they helped 30,762 people in 13,475 families. 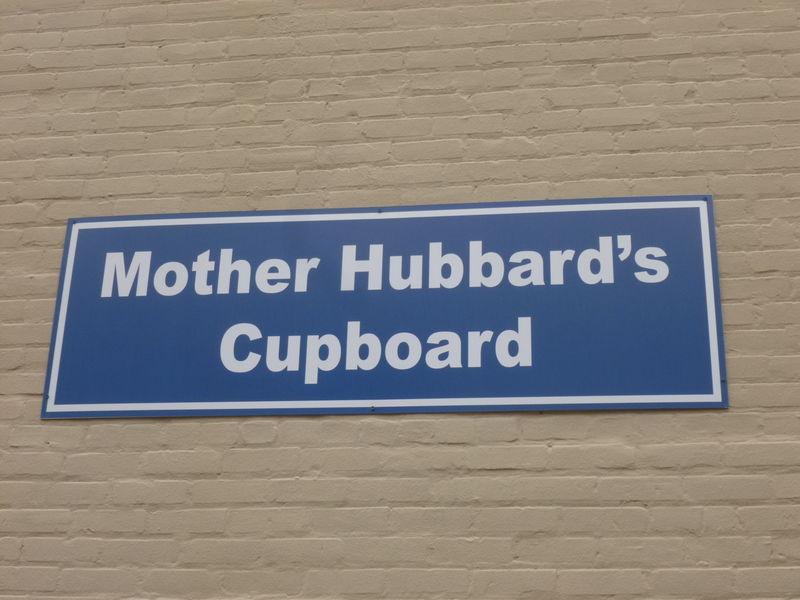 Amazing – especially when you think that this is one food pantry in one city in one state in the country. One wonders what all these people would be doing without this food…. 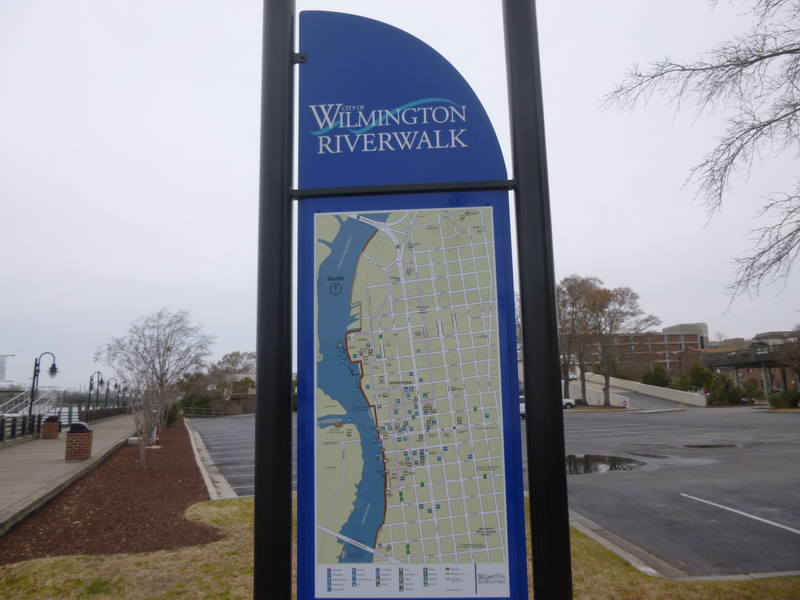 The Wilmington River was just a couple blocks away, so we headed out for a chilly couple of miles. 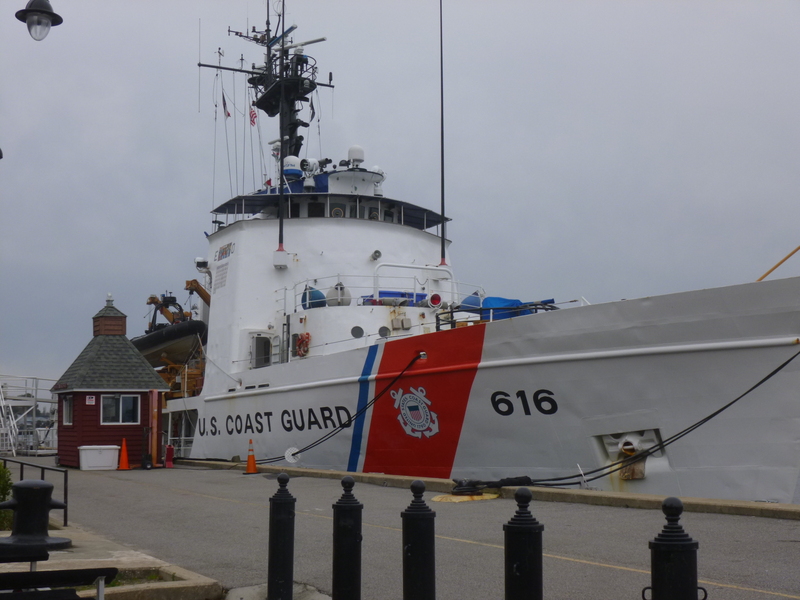 Wilmington has a coast guard station and I was able to see a Coast Guard boat up close, and wonder about the missions it’s been on! 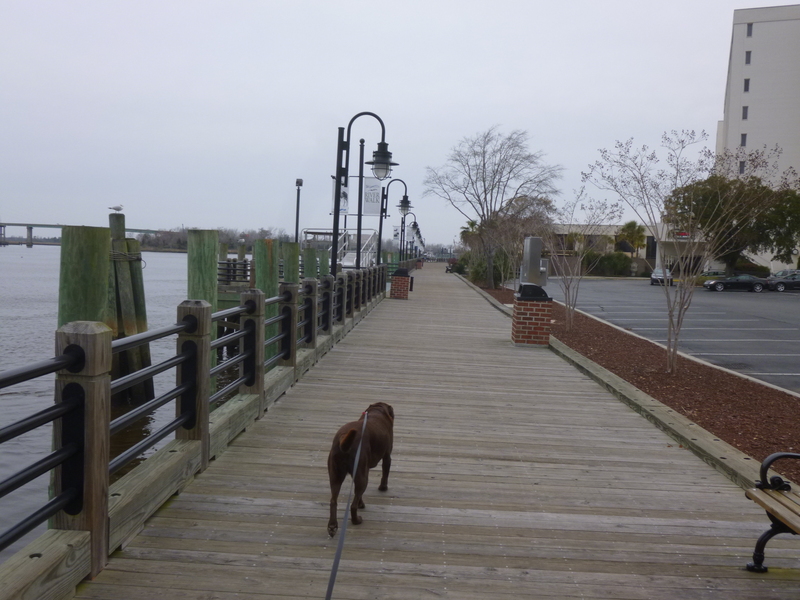 We also walked through the downtown area a bit, then I put Tula back in the car and walked a couple more miles through downtown and the historical neighborhoods. Despite the chill in the air, it was a good city for walking. I did 9 miles altogether today. 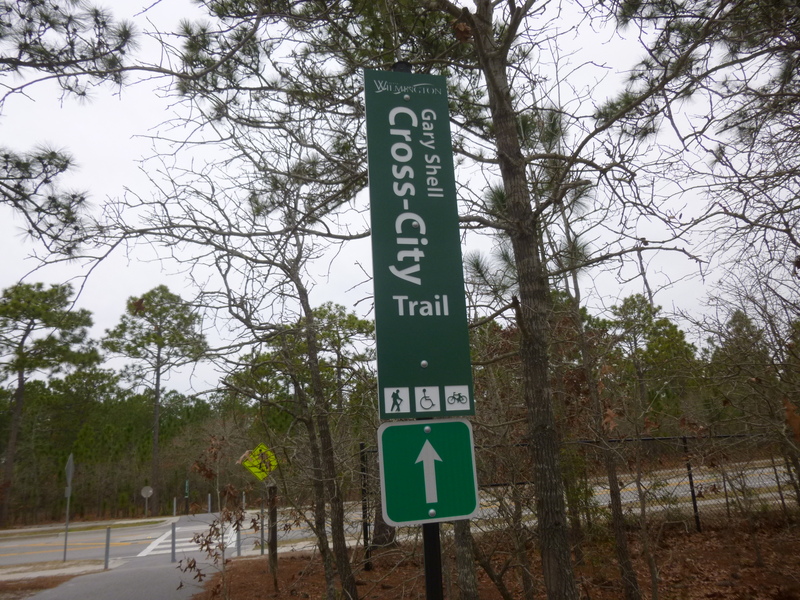 It was starting to get dark and I wanted to move on just a little, and ended up in Jacksonville for the night as it was starting to rain a bit.